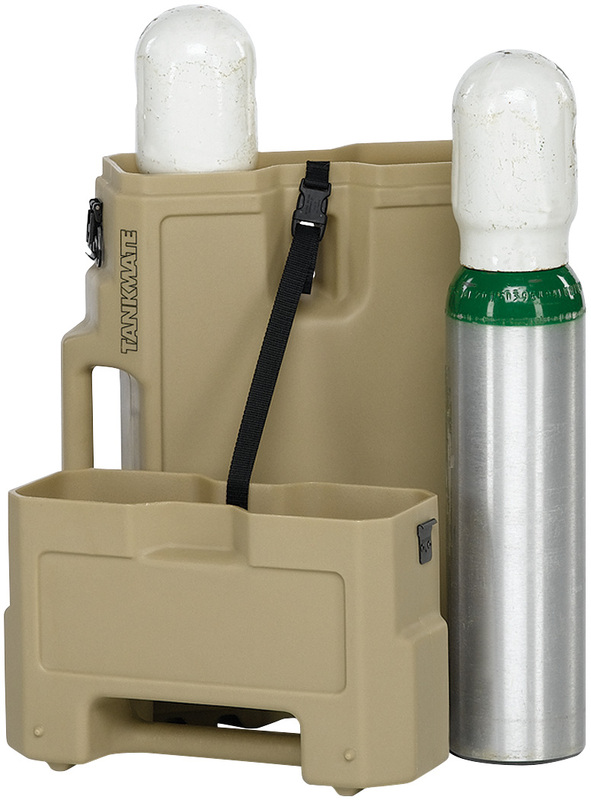 The TankMate™ has a rotationally-molded shell that keeps two "D" 95 GL tanks safe in a lightweight protective environment. From the rugged outer shell to the comfortable handles, every element of the TankMate™ case is designed to provide ultimate protection. The TankMate™ case is impervious to temperature and impact and molded-in handles and ribs make for easy lifting and secure stacking. 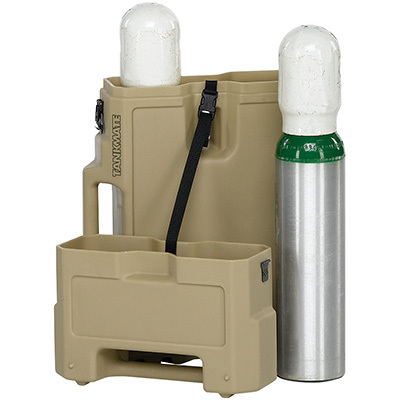 The TankMate™ medical case comes in black, Olive Drab, Desert Tan and gray. Tanks are not included.